is that the Eels at the time was an absolute mess from the players to the Board. Master coach Wayne Bennett himself said that no coach could have performed in such a toxic environment. That would be proven the very next year when Ricky Stuart failed to turn the club around and earnt the Eels its second Wooden Spoon in as many years. With Kearneys record of 24% wins at the Eels while Stuarts is 21% it hardly bears any weight to either man what happened during their tenures at the troubled club. Stuart has gone on to better things at the Canberra Raiders so Warriors fans should feel a glimmer of hope that Kearney can also turn things around. 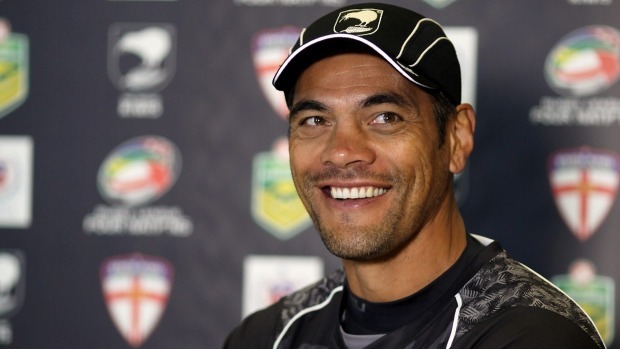 Besides that ill fated venture at the Eels Kearney has seen unrivalled success with the Kiwis. For the first time in Rugby League history New Zealand is ranked number 1. No other coach has beaten the Kangaroos as many times and his 55% win record is unprecedented. No one else has done an apprenticeship under such successful coaches as Wayne Bennett and Craig Bellamy. 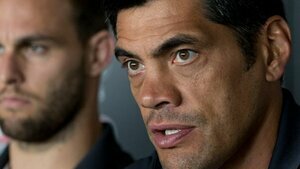 The experience Kearney would have gained from both coaches as well as his own experiences with the Kiwis and as a Warriors former player would undoubtedly prepare him for the mountain he has to climb now. How he approaches that ascent is anyone's guess. We have had 3 coaches try and fail. There needs to be a big change in the culture of the club. The implementation of the Te Iwi Kiwi mantra at the Kiwis after the failed 2013 Rugby League World Cup has paid huge dividends so there's a belief he has the knowhow to do the same at the Warriors. What will be interesting is how Kearney goes about building his team. With a number of the senior players underperforming and a fair few of the juniors lacking confidence there's every chance he may take the knife to the roster. Public sentiment would suggest he do it with a hatchet. I tend to disagree. The biggest aspect of the Warriors game was their poor defence. While we were 7th in the NRL for most points scored we were 14th for points conceded. Warriors were only above the Newcastle Knights who took home the 2016 Wooden Spoon and the Wests Tigers who we just nudged ahead of after the Round 26 52-10 hiding they received at the hands of the Raiders. Fortunately enough Kearney has built his success at the Kiwis on defence and has been the Broncos Defence Coach for the last 2 years. If anyone can fix our defensive frailties it is Kearney. Whether Kearney can deliver is something only time will tell. At the very least it gives fans some faint hope that we may see changes after missing finals footy for 5 years running. I'm more inclined to have faith in the unknown then expect changes with what we all knew wasn't working with McFadden. Next seasons only promise is that its going to be another rollercoaster ride for long suffering Warriors fans and I for one intend to be strapped firmly in for the ride. Good article. Pretty much agree with everything you said. Kearney is as good as we're gonna get so I'm behind him 100% (for now), but its going to be a little weird at first. SK will be giving his team speech (like in that picture) with Cappy standing near by. Hopefully they get over any awkwardness real quick.